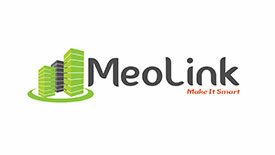 Meolink is specialized in “Machine To Machine” software in SaaS mode allowing to optimize the management and maintenance of real estate assets, in particular energy and fluid consumption. Thus, customers will be able to improve comfort (optimization of lighting, heating, intervention management), security (alarms), remote energy metering (remote collection and data communication) in buildings, hotels or industrial installations. Maroc Numeric Fund invests in high-potential startups in the new technology sector.